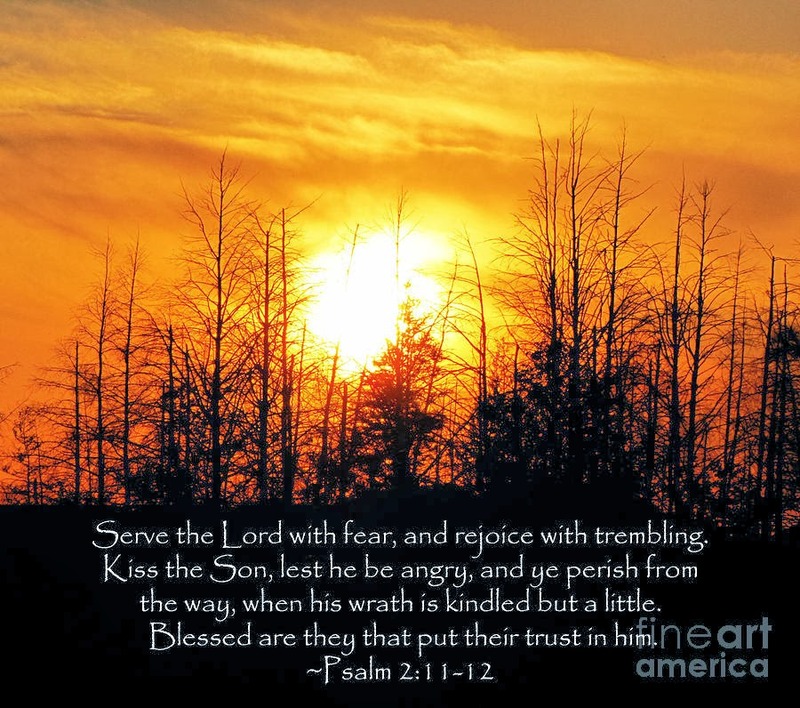 How Do We Know Psalm 2 Really Is Prophesying of Jesus? Some of those who challenge Psalm 2's qualifications as a Messianic prophecy may simply lack the understanding of how it is Christians know which Scriptures can be applied to Messiah and which can not. "The New Testament is in the Old concealed, the Old is in the New revealed." The deeper one gets into Scripture, the more this boggles the mind. What this tells us is that YHWH spent millennia setting the stage for the Coming of Messiah, using multiple authors over that time to bring us The Paper Trail to beat all paper trails. Or Papyrus Trails, if you prefer. Now, to non-scholars like you and me, not all Messianic Scripture texts are as immediately identifiable as say, Psalm 22 or Psalm 110. Thankfully, scholars have already drafted a list of Messianic Psalms for us which we can easily find online. But we have much more than that which we can glean from the text itself and the rest of the Bible. One quick hint is the phrase "the Lord and His Anointed One" in verse 2. The word "messiah" means "anointed one," and since Jesus was recognized as Messiah in the New Testament, we know we are on the right track. But we cannot stop there because the Bible uses the term "anointed one" for persons other than Jesus. So when we can, we turn to our Number One Top Source for Bible interpretation: Jesus. Jesus Himself was a central source for the Apostles and New Testament writers of Messianic prophecy. 25 “... How unwise and slow you are to believe in your hearts all that the prophets have spoken! After their reunion, the Perfect Son of God remained with and taught His disciples for 40 days more before He returned to heaven from whence He had come. It was the Greatest of all the Rabbis Yeshua ha Mashiach Who was their Bible Teacher on Messianic prophecy, and the Holy Spirit Himself Who afterwards took on the job of Tutor, to ensure that they wouldn't get it wrong. And His one and only source for all of this information was the Old Testament. Everything that had just transpired over the previous 33 years of His life had been prophesied hundreds, sometimes more than a thousand years in advance. It was Jesus and, after His ascension, His Holy Spirit Who taught the Apostles and other New Testament writers everything they needed to know to point us in the direction of a proper understanding of this brilliantly inter-connected masterpiece of Bible prophecy, both fulfilled and yet-to-be-fulfilled. 24 When they heard this, they all raised their voices to God and said, “Master, You are the One who made the heaven, the earth, and the sea, and everything in them. As we have seen, Christians don't just make things up as we go along like so many do, twisting Jesus' words this way and that to force them to fit into their desired interpretations. That is called "eisegesis" which can only bring one to falsehood and confusion. Instead, we need to ensure that we allow the whole text to speak for itself so as to remain on the path of the truth of the Word of God.